(April 8, 2005) -- LB's Rainbow Harbor will become a high-visibility pre-race staging area for the nearly 100 year-old Transpacific Yacht Race this July, giving the non-sailing public an opportunity to get up-close and personal views of the roughly 70 boats and their crews, creating a visitor and tourist draw for downtown LB. In a written release, the Transpacific Yacht Club (which operates the event) stated, "It was announced at a press conference Wednesday [April 6] that the Transpac board of directors has accepted the offer of the City of Long Beach to use the downtown Rainbow Harbor as a staging area." The written release says the Centennial Transpac 2005 race -- 2,225 nautical miles from L.A. to Honolulu -- "will still start off the Palos Verdes Peninsula, but competitors will find free mooring for their boats before the race in a leisure venue surrounded by the Queen Mary, the Aquarium of the Pacific, the historic Pike at Rainbow Harbor theme park and the Shoreline Village complex of waterfront shops and restaurants." This will give the non-sailing public an opportunity "to interact with a sport that is insular by nature," the release says. Transpac Commodore Jerry Montgomery noted in the release, "There will be people on the boats most days preparing them for the race and provisioning and the sailors will be very happy to show people their boats." Roughly 70 boats are expected to take part; the race has staggered starts from July 11 to 17. The Transpac release also says that as part of the buildup to the Transpac race, the "Mayor's Cup" will be introduced...an award presented for an international women's match race. Vice Mayor Jackie Kell (who attended the news conference while Mayor Beverly O'Neill was out of town) commented in the release, "Our City Council will be especially interested in hearing about the Mayor's Cup because of the ten of us on that council, six of us are women." The >Vice Mayor is pictured in Transpac photo with Commodores (from left) Jerry Montgomery, Gary Schneider and Terry Krauss of Transpac, Shoreline Yacht Club and LB Yacht Club. LB Yacht Club Commodore Terry Krauss said in the release, "We will start off with the Mayor's Cup, lead into the Transpac, turn the hosting over to Shoreline and should put together as good a racing event as we've ever had in Long Beach." LB Parks & Rec. Dir. Phil Hester said in the release, "All of our tenants have leases, and we'll be shifting them around during that period of time once we learn the exact number that we need to accommodate. We have a lot of flexibility in the marina at this time with a number of open slips that we've been holding as part of the rebuilding of the Downtown Marina which is under way at this time." The release adds, "The overall plan is to blend Transpac into the city's annual Sea Festival, a fixture for five decades that includes various shoreside activities." LB Yacht Club Commodore Terry Kraus told LBReport.com that he, Chris Pook (Grand Prix mastermind), Drew Satoriano (LB Parks & Rec Comm'n member) and Commodore Jerry Montgomery (Transpac) met in or about Dec. 04-Jan. 05 for a collective brainstorming session on ways to solidify Transpac and possibly have a race open up this year's Sea Festival. Subsequent meetings also involved Shoreline Yacht Club ("a big part of the arrangements now," Kraus adds). Among the ideas developed was creation of the Womens' match race (very few in U.S.) to open this year's Sea Festival and dovetail with Transpac. 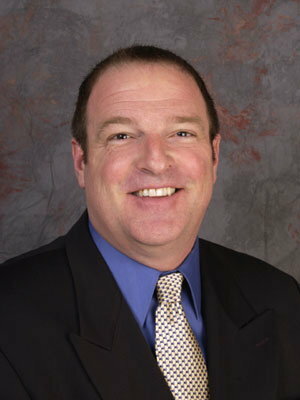 Rich Roberts, Press Officer for the Transpacific Yacht Club, confirmed to LBReport.com that Mr. Satoriano subsequently addressed Transpac's Board and the ideas were warmly received. City Hall officialdom agreed...and the plans came to fruition. 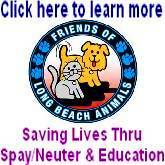 Messrs. Satoriano and Pook are both part of a recently organized non-profit entity: the Sea Festival Association of Long Beach. 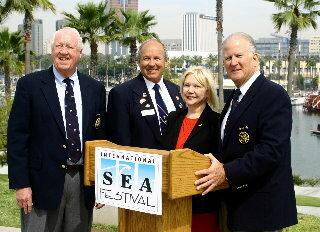 At the April 5 City Council meeting (following a March 2005 Council study session), city management agendized an item seeking Council approval for a five-year contract with the Sea Festival Association to (in the words of a city staff memo) "program and manage" LB events under the Sea Festival umbrella. Near the opening of the April 5 Council meeting, Mayor Beverly O'Neill announced without explanation that the item would not be heard at that night's meeting; such delays are not uncommon and items can be taken up at later meetings.